Some recipes for strawberry topping basically consist of strawberries and sugar mixed in a blender. This is fine if used immediately, but such mixtures are unstable and quickly separate into liquid and pulp. If used on a cake, you end up with a soggy cake topped with strawberry pulp which is not very appetizing. 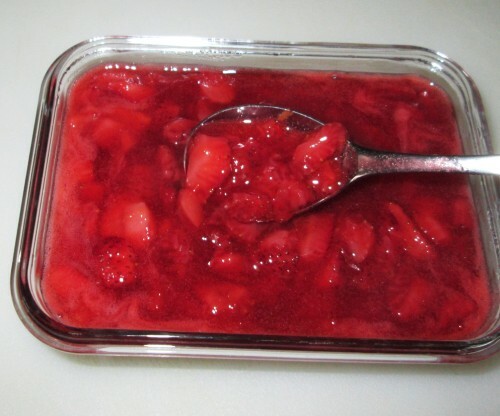 The following recipe uses starch to produce a smooth strawberry topping that will not soak into a cake, and may also be used on ice cream or cheesecake. 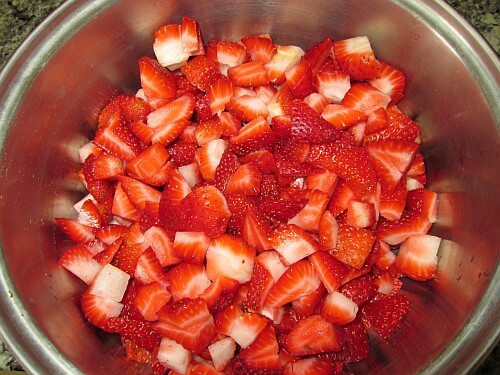 Place the strawberries and sugar in a medium saucepan and stir until the berries are coated in sugar. Let stand for about 30 minutes until about 2 tablespoons of the juice come out. 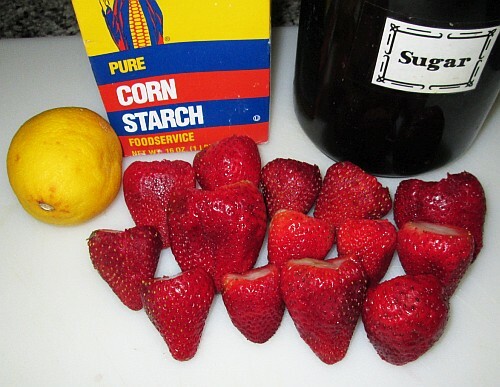 Pour the strawberry juice into a small bowl and whisk the cornstarch until there are no lumps. Place the pan over high heat and cook, stirring occasionally about 5 minutes. Mash with a potato masher until about one third of the strawberries are mashed but some medium-sized chunks remain. Add the lemon zest and juice, stir to combine, and bring to a boil for about 2 minutes. Stirring reduces the foam. Add the cornstarch slurry a little bit at a time into the pan, stirring constantly. As the sauce thickens it will begin to boil like a pudding with puffs of steam. Let the sauce cool to room temperature and transfer to a container with a tight-fitting lid. Chill in the refrigerator before using.